Whether you travel from a far, or stop momentarily before traveling on to other sights, Catalina Island is a picturesque haven worthy of your time. 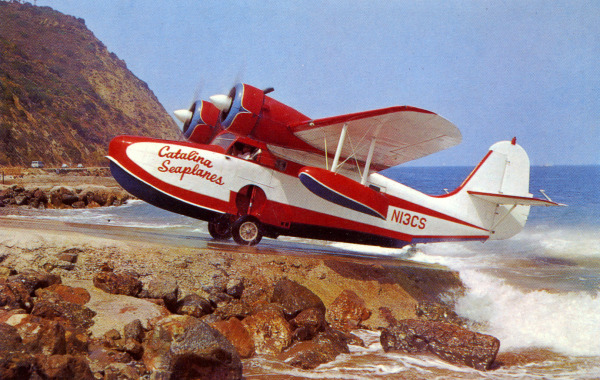 My first visit to Catalina Island was by seaplane in the summer of 1968. It was, also, the first time I rode a tandem bicycle. Other remarkable returns to that quaint island included a romantic day that began with a helicopter ride to the Airport In The Sky; a birthday celebration at the Inn at Mount Ada (the Wrigley Home on Catalina Island) inclusive of a charming golf cart for transportation and excursions to the Wrigley Memorial and botanic garden. My favorite experiences were several trips during 2000-2002 via a Catalina 22 with the Keelswingers Sail Boat Club. The exploration of both harbors inspired my e-Book entitled, Sail Through The Buffeting Winds. Described as a Sweet Escape, Catalina Express offers a free round trip birthday promotion for those who register online for a Catalina Island destination. 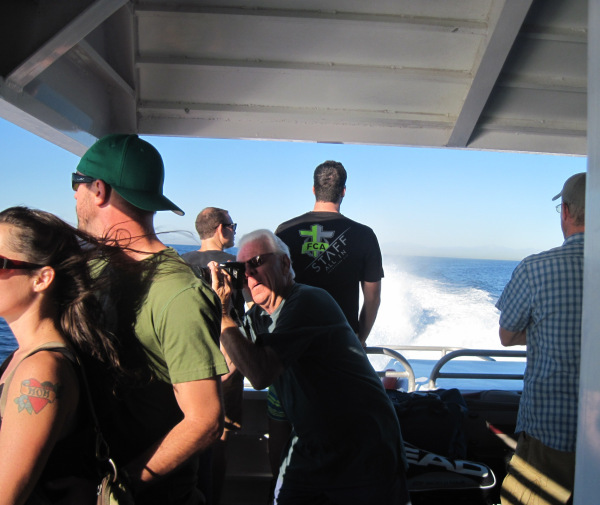 The Catalina Express is fast and when standing along the side whipping wind and ocean spray adds to the thrill. 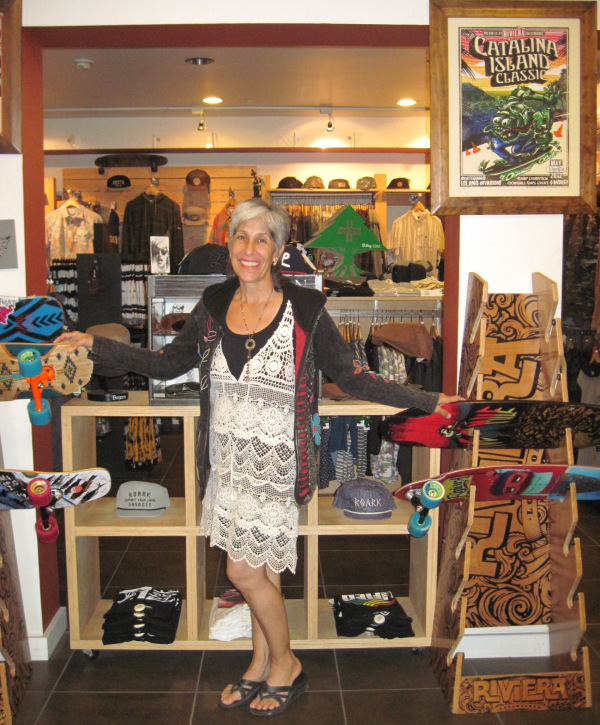 By the way, don’t fret if you are at the end of the long boarding line because the staff moves everyone aboard at brisk pace. If you are a spontaneous soul failing to RSVP for the Catalina Express the staff will offer you a standby ticket and there are two food venues offering tempting treats and yummy meals. The waiting area is comfortable and outside is scenic. Whether you walk, hike, photograph, film, sunbathe, swim or relax on a bench, you will be thoroughly entertained without spending a dime. The following video validates this truth but doesn’t cover it all. You deserve your own firsthand Catalina Island experience. ♦ Zane Grey Pueblo Hotel. It was originally built in 1926 by the author, Zane Grey, and houses some of Grey’s furnishing decor. Overlooking Avalon Bay, Grey spent most of his later years in Avalon writing and fishing. ♦ Chimes Tower resounds in the town of Avalon and, since 1925, tolls on the quarter of the hour between 8 a.m. and 8 p.m. Built in 1925, Mrs. Ada Wrigley presented the Chimes Tower as a gift to the town situated across from the Zane Grey Pueblo Hotel.